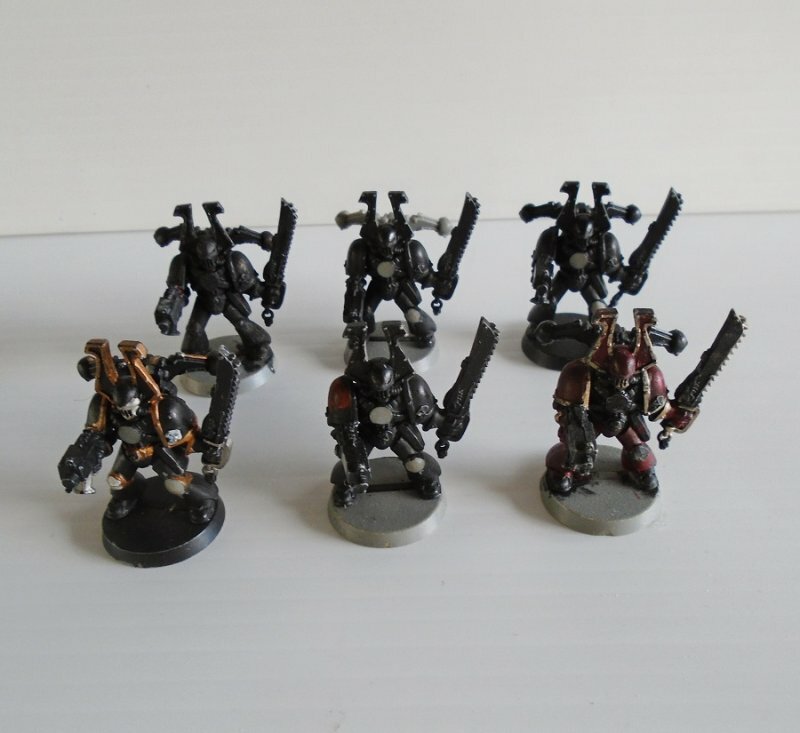 Quantity of 6 fighting figurines, possibly Marine Squad for either Warhammer, Dungeons and Dragons, or Mage Knight. Offered in this listing are a quantity of 6 fighter figurines. I believe they are marine squad fighters from the Warhammer game, but I'm not sure if they are for Dungeons and Dragons, Mage Knight, or if they are even part of the Warhammer game. They all stand about 1.75 inches tall. Some are partially painted. They all have round bases to make them stand.